Copper is crucial! Almost every brain function and every cycle of electrons through the Mitochondria uses copper… As almost every action tyrosine takes requires Tyrosinase and COPPER. Copper Liver Love Includes: 1 oz liquid dropper bottle of a Otherworldly Booster for your Bio-Chemistry, especially Hair, Skin & Nails!!!!! The other day I was eating lunch with a friend and colleague and he mentioned that copper can increase the risk of cancer. This was not the first time I had heard something scary about copper. Last year, another friend (a medical doctor) also mentioned copper’s association with cancer, especially hormonal types. How could something so integral to our body be so bad I wondered? I researched it. Just like I suspected, copper is essential to good health. We don’t need a lot of copper, but certain healthy amounts are vital and essential to our health and well-being. It’s all about balance! Copper is required for the formation of about 50 enzymes and it’s needed for our transporters, which shuttle hormones and neurotransmitters all over your body. Copper protects the lining of blood vessels and myelin. It supports energy production. Did you hear me? Energy! 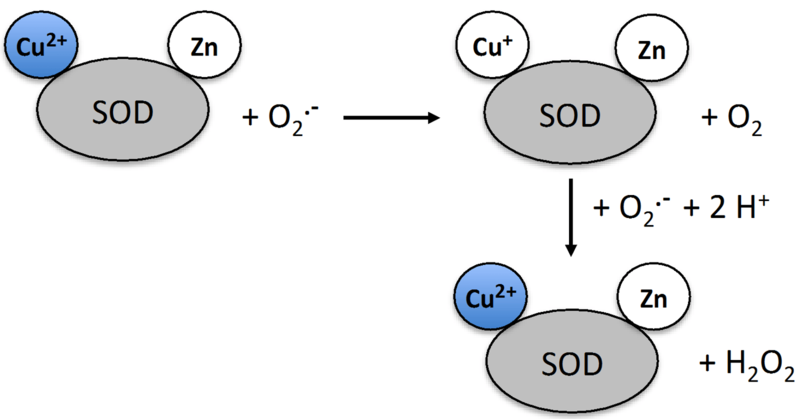 I think one of the most important facts about copper is how it supports the healthy functioning of two major enzymes in your body, one is SOD and the other is DAO. SOD = superoxide dismutase: This enzyme repairs cells and keeps them from getting killed by superoxide! SOD protects mitochondria, and has anti-cancer activity. Without adequate levels of the enzyme SOD you will likely get cardiovascular disease. Copper helps increase SOD. DAO = diamine oxidase: This enzyme breaks down histamine from all the foods you eat. 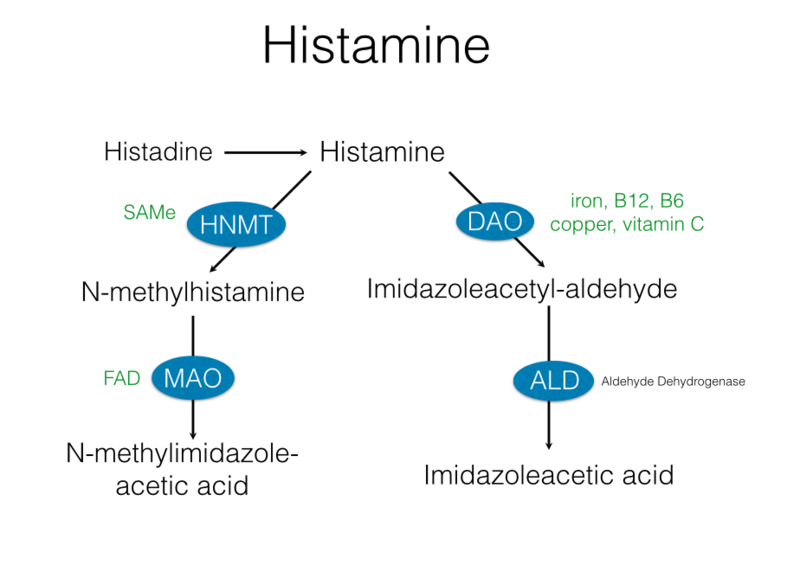 There are hundreds of foods that contain histamine (it can cause migraines by the way). DAO is your body’s natural anthistamine. Copper increases activity and functioning. Here’s a little known fact that has kept many people dragging all day long, in search of the next cup of coffee or soda. It’s about fatigue. How many of you suffer with chronic fatigue? If you have iron deficiency anemia that doesn’t respond to iron supplementation, and you’re ferritin remains suppressed, you might be copper deficient. You need iron to make hemoglobin, the main component of red blood cells and you cannot absorb iron without copper. Long story short, copper deficiency is sometimes at the heart of resistant iron deficiency anemia. An “RBC copper” blood test can reveal this. I am a stickler about your test being RBC (or even WBC) because a common mistake is often made by physicians. They often measure “serum” or “plasma” levels. Who cares what is out there? Neither the serum or the plasma portion of your blood contains any clotting factors or red blood cells. Evaluating copper in the plasma or serum doesn’t give you an indication of what’s inside the cell, where the clotting factors are. That’s what you NEED to know. If you’re spending money for your lab test, you have to do it properly, insist if you have to. Blame it on me if you want to, I’ve got your back! I am trying to teach you how to derive an accurate evaluation of your intracellular copper levels which will prevent misdiagnosis. If you are tested improperly, and you get a clot, it could cost you your life. Let’s pretend for a moment, that you get the serum copper test I told you not to bother with. Let’s say the serum copper is normal or even high. Serum copper reflects an inflammatory condition in the body (which most people have). This inflammation could be due to an autoimmune disease, arthritis, cancer, thyroid imbalances, gastrointestinal disorders, anything. This elevated serum copper could be happening while you have a full-blown deficiency inside your cells. Even your heart cells (heart muscle). You may be deficient in the most important part of your body, your cells but that plasma copper will come back as normal or even high. This is why proper testing matters. Let me divulge on a tangent about warfarin, the most popular medication used for anti-coagulation (blood thinning) to prevent strokes. Warfarin goes by many popular brand names around the world including Coumadin or Jantoven in the United States, Marevan in Australia, Uniwarfin in India and there may be others. Some people call warfarin “rat poison” because it’s the active agent in some rodenticides. That wouldn’t prevent me from taking it if I had to, you see … you can take any drug and turn it into a rodenticide if you really want to! Regardless, my article isn’t about weird uses of prescription drugs, it’s about copper, and how a copper deficiency can lead to thicker blood or blood clots. Most doctors don’t test you for that, they go straight to their prescription pad. Warfarin may be a precursor to Alzheimer’s. We may see this one day come to light with studies. I’m telling you now. I always tell you years before mainstream media because I care. I am telling you this because warfarin is a drug mugger of vitamin K. That’s why you have to avoid leafy greens and salads while on warfarin, you have to keep vitamin K down. (You must follow these directions from your doctor, I agree that if you’re on a drug, you need to be careful and avoid the drug interactions). The drug WORKS through this mechanism of depleting K.
But here’s where it all goes awry. Vitamin K is crucial for sphingomyelin and helping you remember things. Before you take warfarin, find out whether or not you have a copper deficiency. Low levels in the cell cause clotting problems. The BIG DEAL NOW is to test properly! Most docs test serum copper levels. Who cares? It is almost always normal causing you to be dismissed. In comes warfarin to help reduce clot formation! I’m saying you need to ask your physician to measure copper levels for you, and make sure they are intracellular (either WBC, RBC or look on your CardioION test if you did one).